The English Riviera is a resort in the truest sense of the word, attracting visitors of all ages and interests throughout the year. Undergoing a water front regeneration and a number of new attractions in Torquay and accommodation schemes, Torquay has something for everyone and for all ages, at all times of the year! 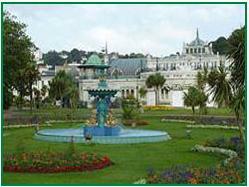 Torquay has been one of the UK 's top holiday destinations since Victorian Times when the gentry promenaded, bathing huts were wheeled down to the beaches and anyone who was anyone had an attractive villa overlooking the sea. It was the Victorians who first used the English Riviera name to describe their favourite resort and their legacy remains to this day with sparkling white villas perched on the verdant hilltops, beautiful gardens around the seafront and elegant Victorian facades along the main streets. Don't be fooled by the Victorian ancestry however, Torquay is also a vibrant and forward thinking resort attracting visitors of all interests, from Art and Culture afficionados to marine enthusiasts. Torquay's famous seven hills provide the backdrop to a waterfront scene that matches anything you'll find on the French Riviera. Stunning views are to be seen just about every where across Torbay, out over the English Channel , along the 40 miles of Lyme Bay to Portland Bill or inland towards the Ten Tors Dartmoor. 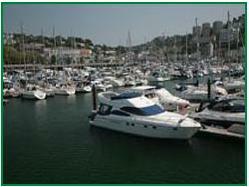 Torquay is an ideal base from which to visit Dartmouth , Totnes, Exeter and Plymouth , all of which are only a few miles distant. 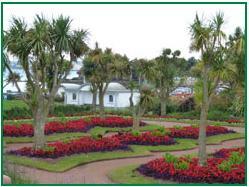 Torquay is a place to relax, to soak up the atmosphere, to take in the scenery, in Torquay parks and gardens to enjoy the experience of a Torquay holiday in a classical English seaside resort, at all times of the year. 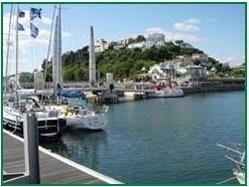 There is a good choice of activities in Torquay to choose from and there is a complete range of accommodation in Torquay to suit every taste and budget. Torquay nightlife has a rich variety of evening entertainment provided throughout the Bay, all year round. 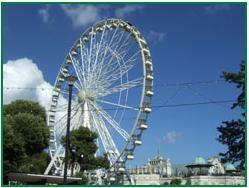 There is an abundance of pavement cafes, Torquay pubs, Torquay restaurants and nightlife in Torquay, good quality shops and a host of attractions to suit every interest. 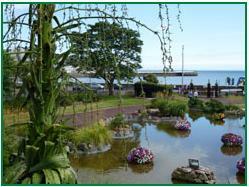 Torquay.com has created this site with the visitor in mind. Along the 22 miles of English Riviera coastline are 19 beaches and coves. 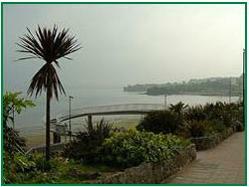 Some, close to Torquay town centre are wide, open stretches of sand with beach facilities such as cafes, beach huts and watersports. Many are smaller and more secluded. Several of our beaches hold coveted awards for cleanliness and water quality. 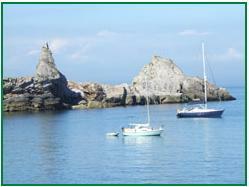 Torbay is a naturally sheltered bay, creating a safe haven for ships of all shapes and sizes in stormy weather. Occasional easterly winds create our own winter storms however and this is when beachcombers make their best finds. Keep an eye on the Torquay weather page.